The Digiscoping Spotlight will highlight some of the fun shots we’ve gotten recently with a camera paired with a spotting scope or binoculars. We welcome submissions of your favorite digiscoped shots to be featured in future spotlights, just use the contact form in the menu above. Black Point Wildlife Drive at Merritt Island NWR is an excellent spot to practice digiscoping, sharpen skills, and enjoy birds at close range at any time of the day, but especially at sunrise or sunset during the golden hours. During my recent visit to Florida for the Space Coast Birding and Wildlife Festival, I made it a point to hit Black Point Wildlife Drive near sunset. The birds. They were everywhere! It certainly was a spectacle as Wood Stork, Reddish Egret, White Ibis, and Roseate Spoonbill were within spitting distance of the drive! 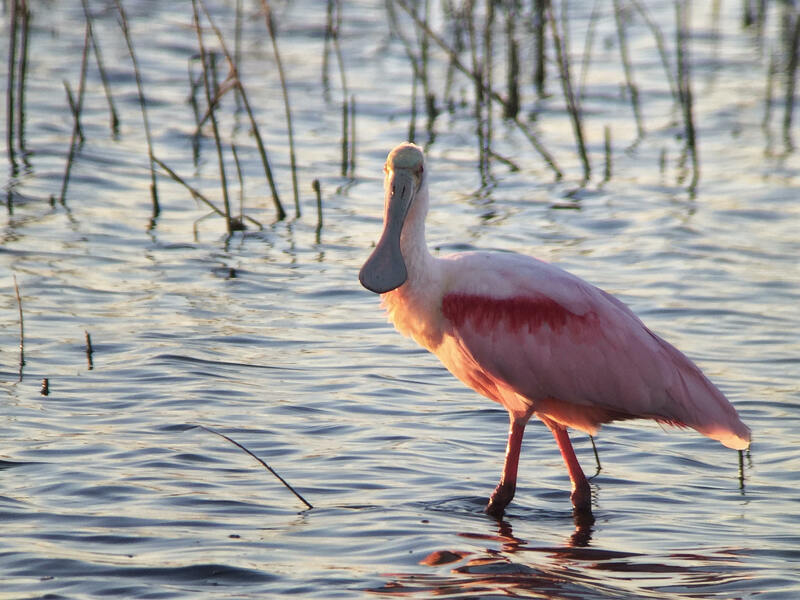 Here’s one of my favorite Roseate Spoonbill shots taken near sunset at Black Point. Roseate Spoonbill at Black Point Wildlife Drive, Brevard County, FL on 19 January 2016. Digiscoped with a iPhone 6 Plus + Vortex Razor HD 20-60×85 & Phone Skope Adapter. Photo by Tim Schreckengost. Be sure to check out Phone Skope’s online store for all of your smartphone digiscoping needs. Use the code NEMESISBIRD at checkout to get 10% off your order.